The latest version of Imixs-Office-Workflow makes it easy to design GDPR complient business processes. 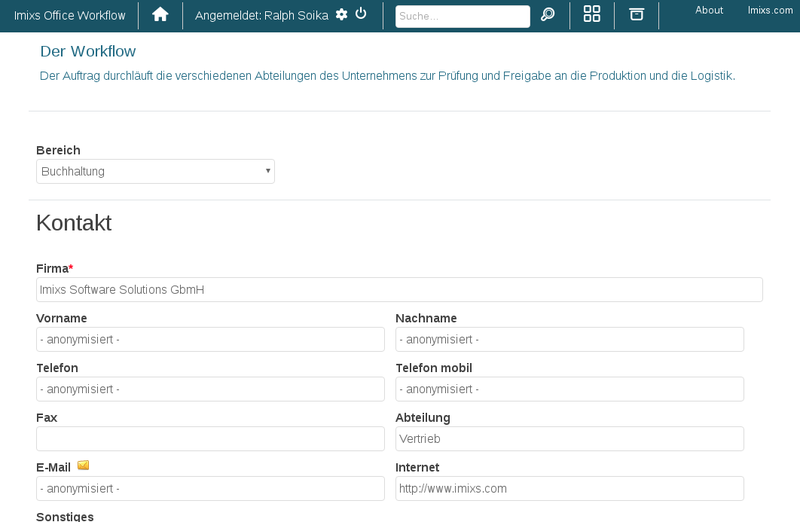 The new version of the Imixs-Office-Workflow now has a standard plugin to map the right to be forgotten directly within a business process. In the digitization of business processes, personal data can now be selectively deleted or anonymized according to Art. 17 of the GDPR without the process information itself being lost. On the one hand, this increases legal compliance in the digitization of business processes, and on the other hand, this modern solution allows companies to optimize their processes on a sustainable basis. With this solution, even long-running business processes are modeled compliant to the GDPR. The deletion of personal data pursuant to Art. 17 GDPR is recorded in accordance with the law and documented on the basis of BPMN 2.0. Business processes can thus continue to be managed in the system and business processes can be optimized over the long term.